Brendan Kenny and Joshua Chelmo are set to wed November 16th, 2019 at Lakeview Pavilion in Foxboro, MA. In 2016, our lives were changed forever. After chatting online for a couple of weeks, we sat down together at a local Panera. It wasn’t quite our first date. But… it was our first meeting. And it was one of those times in life when you can just tell things are about to change in the best possible way. After bagels, coffee, orange juice and a first kiss, we set forth together, beginning the greatest ride of our lives (so far). From date nights and getting to know each other’s families and friends to game nights, weekends away, vacations and a million laughs, we brought home a bundle of joy – ​together.​ Lily Rose Chelmo-Kenny, our 3-pound Boston Terrier puppy, was everything we could have hoped for. She’s been a loving, affectionate and beautiful addition to our family. Our first “I love you” ushered in our first anniversary and our next big step. We (with our Lily Rose) moved into our home in North Providence, Rhode Island. Living under one roof obviously was met with some challenges and definitely stretched our patience… and it was the best move we ever made. In the summer of 2017, we took our first big trip together, a semi cross country road trip from Minnesota back to Rhode Island with Joshua’s mother Stacy and his sister Emma. Needless to say, being in a car for 5 days straight, Brendan got to know Joshua’s family very well! We enjoyed so many incredible moments including watching the solar eclipse on the steps of the Grand Ole Opry and Brendan falling off the largest frying pan in Iowa. 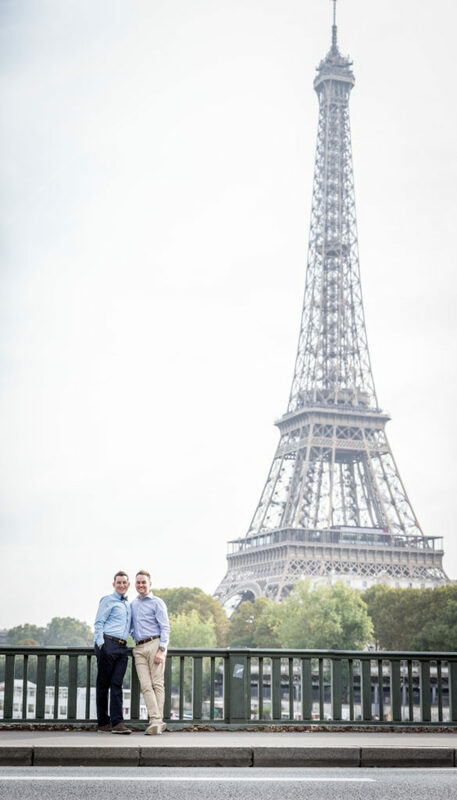 In the autumn of 2018, our love went global with a trip that would include Paris, France and Berlin, Germany. On the very first night, we toured the Palace of Versailles. As the night rolled in and the stars came out, we took to the grounds for the Illumination Garden and Fountain Show. At 10:30 that night, the grounds went completely dark as fireworks began to celebrate. 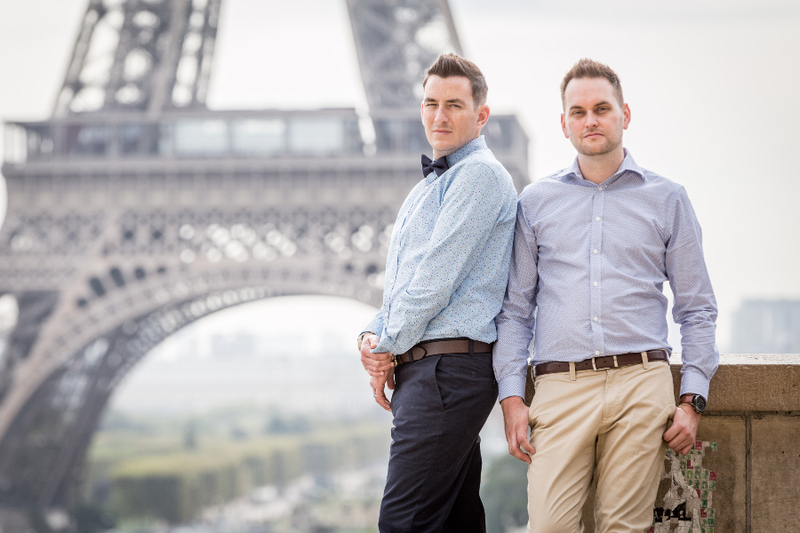 We think the fireworks were celebrating love in the City of Light. 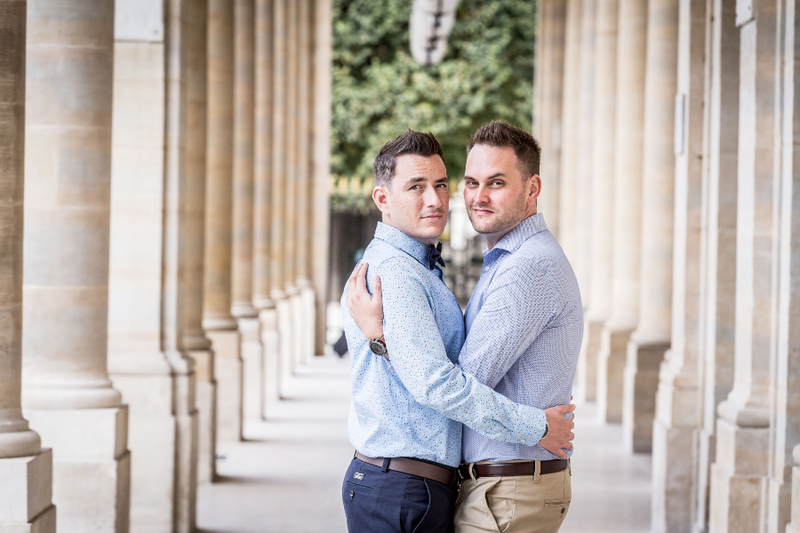 And there, with the Palace of Versailles before us and fireworks behind us, Joshua got down on one knee and asked Brendan to spend the rest of his life with him – to continue the greatest journey of their lives. Like the day that we met, we don’t exactly know what’s next. But we know, like we did that day, that life is about to change in the best possible way. Celebrating our love for one another with close friends and family is the best way we could ever imagine to begin the next chapter of our lives.